IF SNOW does fall on the Southern Downs, there are several places most likely to get a dusting. While Stanthorpe stands a small chance of some snow, outlying highland areas are the best place to see some snowflakes fall. 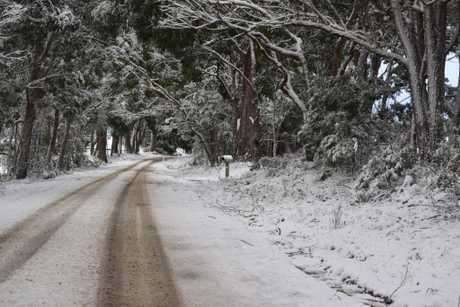 A short 20 minute drive south-east of Stanthorpe, Eukey is one of the best places to see snow. With its high altitude, light snow and sleet are high possibilities in Eukey each winter. During the snowfalls last year, the mountains and forest of Eukey provided a scenic backdrop to the snow. 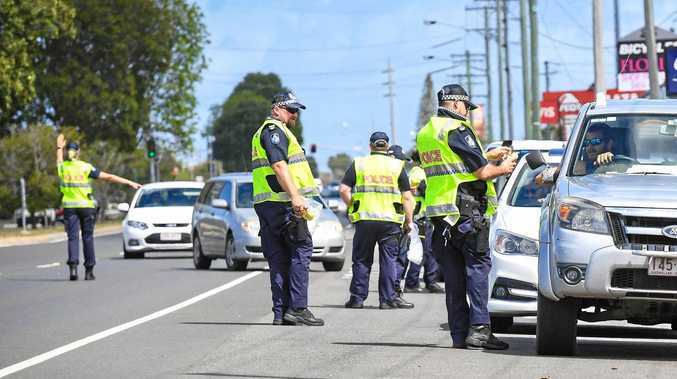 Drivers can get to Eukey via Sugarloaf Rd and Eukey Rd in Stanthorpe or by following the New England Highway south to Ballandean and turning onto Eukey Rd. Higher than Stanthorpe, the Summit is another ideal vantage point to see snow. 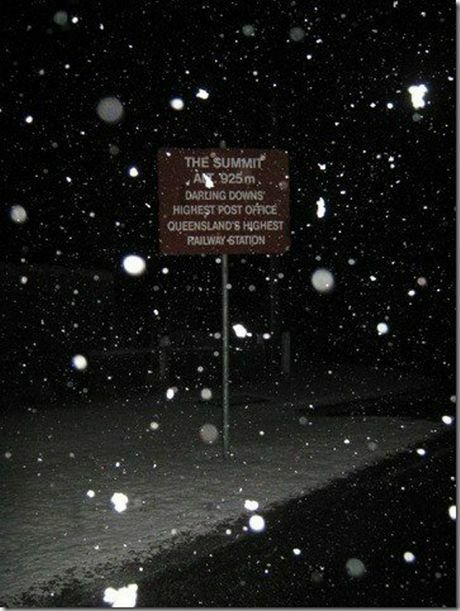 Travelling south from Warwick, the Summit was one of the first spots along the New England Highway where visitors could get a glimpse of last year's snowfalls. The Summit is 15 minutes north of Stanthorpe. 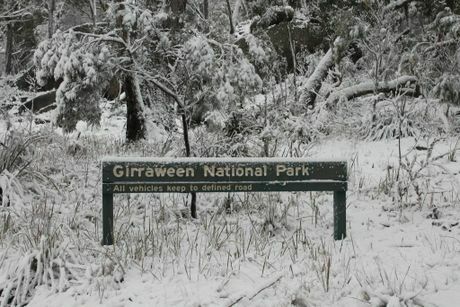 Situated high in the mountains south of Stanthorpe, Girraween National Park is the perfect spot to get some great snow photos. Girraween National Park is 40 km south of Stanthorpe. The best access to the park is via Pyramids Rd off the New England Hwy at Ballandean. Located right on the border with New South Wales, Wallangarra's advantage in getting snow is how far south is lies. 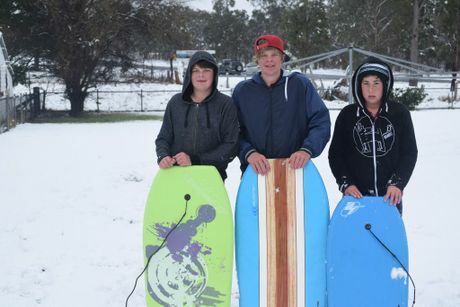 If snow does creep across the border, Wallangarra is the first Queensland town in its path. Wallangarra is 35 minutes south of Stanthorpe on the New England Hwy. 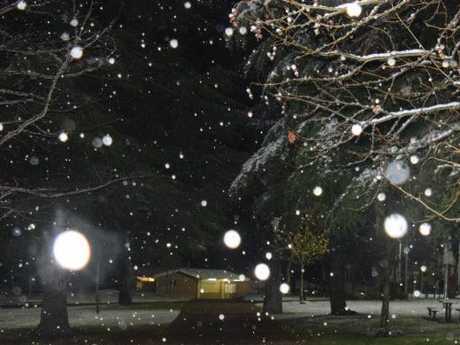 If you're out and about early in the morning or in the right spot at the right time, you could be lucky enough to feel snowflakes on your face in Stanthorpe. The Mt Marley lookout and Quart Pot Creek are excellent vantage points for snowfall. If you don't see snow in Stanthorpe, a quick lookout over Mt Marlay will show you where you need to go to find some.